Benzoyl Peroxide and Pregnancy, What are the Risks? Are Over-the-Counter Acne Treatments Pregnancy Safe? Many women have questions about benzoyl peroxide and pregnancy, as well as other common over-the-counter acne ingredients. And rightly so. Although these products are typically considered “safe” since they are available to you without a prescription, you still need to be cautious, especially during pregnancy. Read the labels on the products to see if they are pregnancy-safe. If you’re still not sure, consult with your doctor. If you feel uncomfortable about a product, never second-guess yourself. Your caution will pay off for the health of your baby as well as your own. The safety of these ingredients, especially benzoyl peroxide and pregnancy, are discussed below. These acne remedies are evaluated in terms of safety during pregnancy. However, if you are not pregnant or want more in-depth information about these active agents, you can read about how to find the best acne medications and which over the counter acne treatment products can be especially effective for your acne type. The safety of using benzoyl peroxide during pregnancy remains a concern. BP works by killing acne bacteria deep within the skin and is found in concentrations of 2.5%, 5%, and 10% in topical creams and gels. There are also prescription forms of BP or combinations of BP with other active agents that you can get from your doctor. 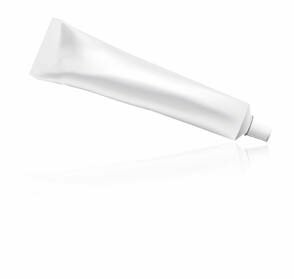 Benzoyl peroxide is commonly used: Currently, there are no case reports about benzoyl peroxide and birth defects in research studies. So far it appears there is a low risk to the unborn child. Benzoyl peroxide is a category C drug: So far, there have been no studies on humans or animals that show risk correlations between benzoyl peroxide and pregnancy. This means the risk is still unknown. About 5% of each topical dose is absorbed systemically. It is unknown if BP passes into breast milk. Make sure you consult with your doctor about taking BP safely. This medicine may be absorbed through the mother's skin. Like benzoyl peroxide and pregnancy, there are no studies of topical salicylic acid and pregnancy showing risk to a fetus. Topical salicylic acid has not been studied in pregnant women. Only oral salicylic acid (aspirin) studies in animals show that birth defects occur at very high dosages. But oral salicylic acid is unrelated to the topical form. Generally, the absence of harmful feedback of topical salicylic acid means that the risk to an unborn child is low. Retinol is a form of vitamin A, which in high doses can be dangerous to pregnant women. Based on 1980 U.S. Recommended Dietary Allowances (RDAs) for vitamin A in the diet that is a combination of retinol and beta-carotene, pregnant women should not exceed a daily total of 2665-3000 units of retinol (900mcg). Breastfeeding mothers should not exceed 4000 units of retinol (1200mcg). Again, confirm with your doctor regarding a healthy amount for you. Resorcinol can be absorbed through the mother’s skin, but none of these ingredients have proven to be a risk in pregnancy. Want more information on Benzoyl Peroxide and Pregnancy? Sign up for my free newsletter.